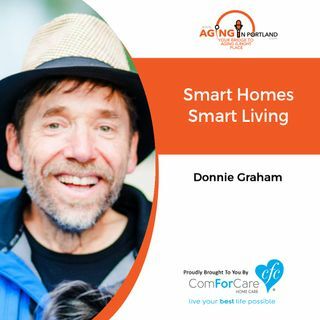 Donnie Graham knows a thing or two about Smart Living. After being diagnosed and living with ALS for the past three years, Donnie has transformed his ordinary ranch style house into a Smart home. Donnie has always been intrigued by how things work. A former circuit board designer and a home remodeler, he now spends his days confined by a wheelchair in body only. Drawing upon his wisdom, he is transforming his home to accommodate his independence. He is now helping others accomplish the ... See More same...designing Smart Homes for Smart Living.